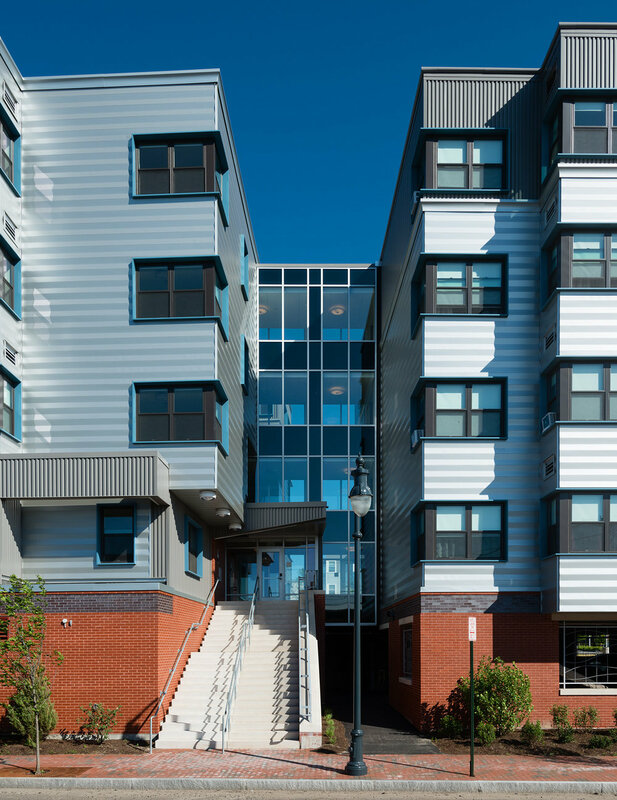 Avesta Housing, on the corner of Portland’s Pearl and Lancaster Streets, is PDT’s first LEED-Platinum project. In response to concerns about coastal sea-level rise, the design tucks parking underneath the building. The rain garden on the right reduces runoff and absorbs stormwater. Pearl Place II is across the street from Whole Foods and a short walk to Trader Joe’s, Hannaford, the Bayside Trail, and Congress Street. 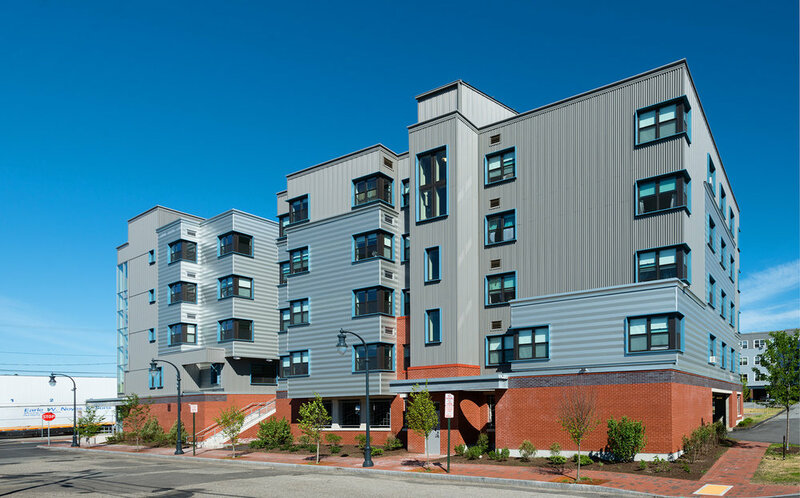 Avesta, New England’s largest nonprofit developer of affordable housing, advanced the renewal of the Bayside neighborhood with the opening of Pearl Place II. The common room is used for meetings, workshops, and meals. From the lobby, residents can see the street on one side and the parking lot on the other. 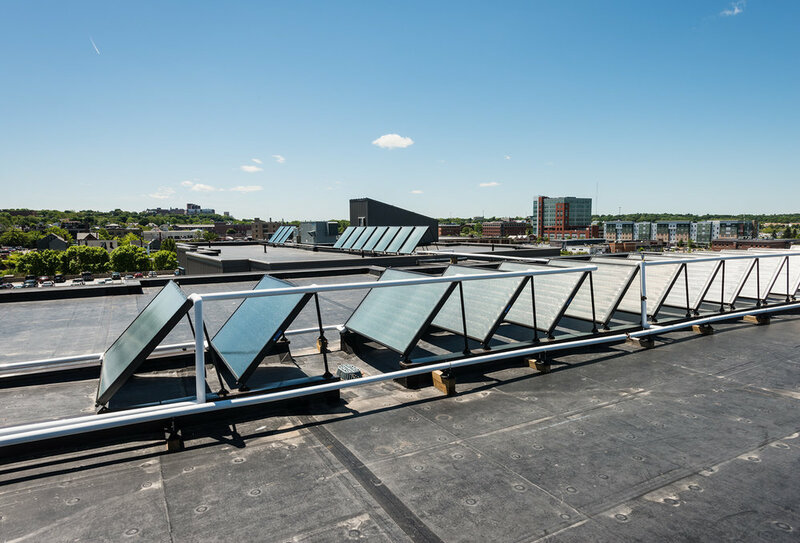 Solar panels on the high-albedo roof preheat domestic hot water. The second phase of Avesta’s Pearl Place project extends the redevelopment of the emerging Bayside section of the city with 54 new apartments. 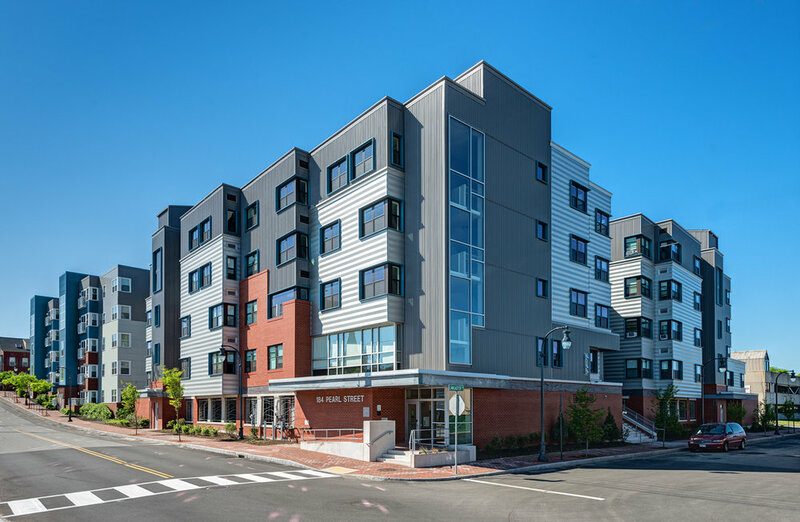 The project is within walking distance of Portland’s major amenities, schools, parks, food markets, shopping, City Hall, the public library, and the University of Southern Maine. 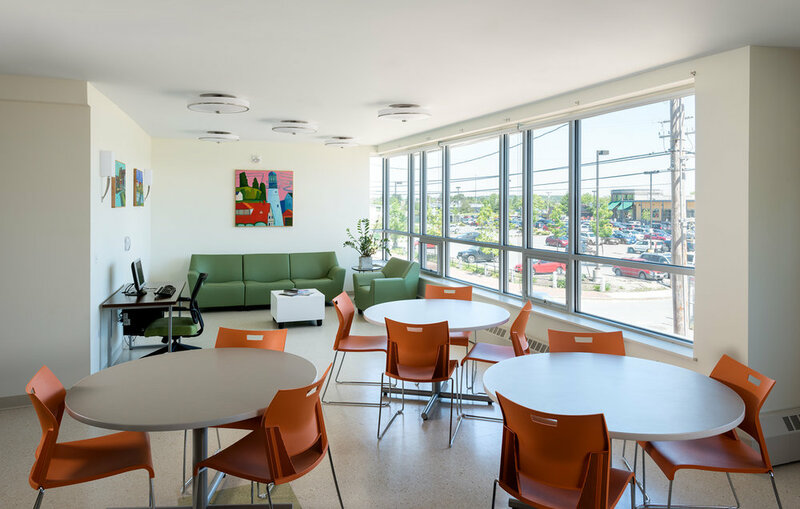 One-, two-, and three-bedroom units for qualifying families have access to free wifi, on-site laundry, and a community room with a kitchen.